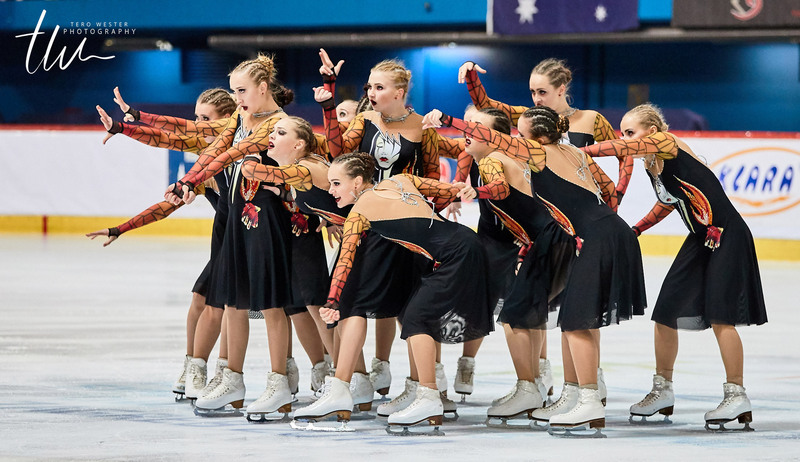 After your medal at the 2018 Junior Worlds in Croatia, what did you do with the Crystal Ice teams? Olga Badyaeva: We had a small break to rest and wipe the slate clean all after the World Junior Championships. In spring we started to find new athletes on our team and we selected many very good skaters who will enhance the #CrystalIceFamily in the future. We pay attention to the individual skills of each teammate. We improved skating skills with different specialists, learned new elements, worked with elements from pair skating, we were engaged in general physical preparation, flexibility and stretching. We started to make new programs in the spring. We had a break in June. Then we started working on our home ice rink in Moscow in July. The team had an annual summer camp in August. The work was very productive. What’s new for the Crystal Ice teams? 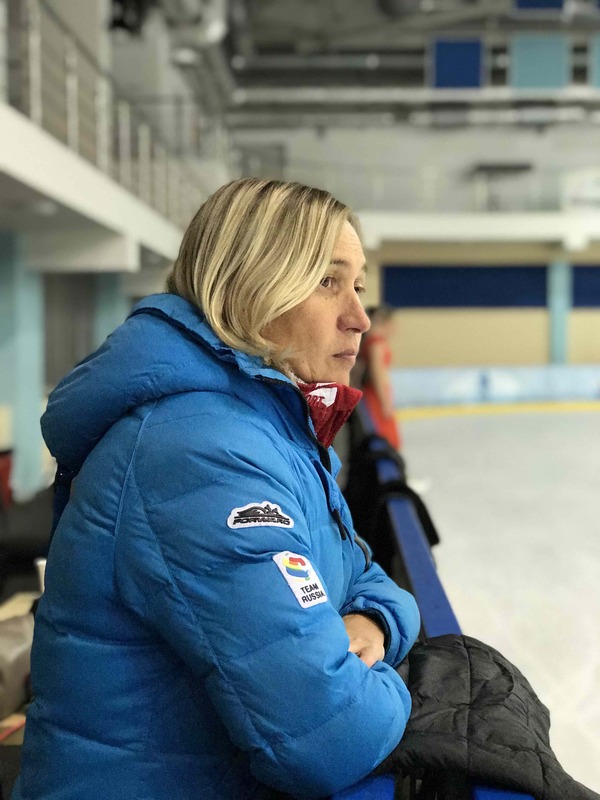 In this season, like in the previous one, a lot of specialists are working with the teams: the ice choreographer Sergey Komolov, the coach of skating skills Ivan Volobuev, the consultant on the elements of pair skating Alexey Rogonov, and also the choreographer Maria Raskina. The teams take a lot of experience and useful life hacks from specialists, which help them to develop rapidly. Yes, at the end of this season, we felt that we can go further and just the junior team isn’t enough. We created a Senior team in the #CrystalIceFamily! Tell us more about this team. First of all, this team is a challenge to ourselves. I believe that we can represent our country at a new level for us and with time achieve high results. We have everything to achieve this: strong athletes, a great coaching team and great desire. So nothing can stop us. Have you already finished your programs? Of course! This year both teams have very interesting programs. We have by the way a funny story about the free program of the Junior team. In May, we’ve made a program on the theme of pirates. We’ve even done the costumes sketch. But, when we came back on the ice after the summer break, we realized that this program didn't suit us because it didn't reveal all the merits of the team and with that program, we wouldn't be the winners. Eventually, we changed everything: the music, the idea, and the costumes to chic vampires. The idea turned out to be very impressive and the team skates now this program with a pleasure. Isn’t it the main thing? The senior team will surprise by their image in the free program. For us, it’s something new, but very beloved. The girls enjoy skating this program. This season, short programs will be very technic but we won’t lose ourselves. There will be great images, emotions and a lot of interesting choreographies. Which are the goals for this new season? Both teams will participate in the Stages of Russian Cup, National Championship and Mozart Cup. For the Junior team, the goal is usual – be selected to World Junior Championship and fight for the Top-3 places. The goal of the Senior team – declare yourself, introduce yourself to the world community. The first competition of the season will be soon – in October we will take part in Finlandia Trophy 2018. It’s important to receive the feedback from the judges and specialists, to catch their hearts and move only forward.